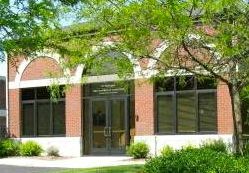 The Duane Legacy Project committee, formed to memorialize the enormous contribution to Howell by the man fondly known as “Zemp,” has selected artists and a sculpture design. After a nationwide request for proposal, the sculpture team of Colin & Kristine Poole of Santa Fe, New Mexico was chosen from eight finalists. After an extensive design process involving the Pooles and the committee, the bronze sculpture the Pooles will create is a “larger than life” Duane Zemper in his later years, dressed in his familiar sweater and bolo tie. 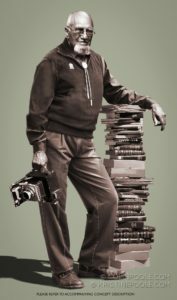 An honored photographer, Duane Zemper valued education and was a co-founded of the Howell Archives. 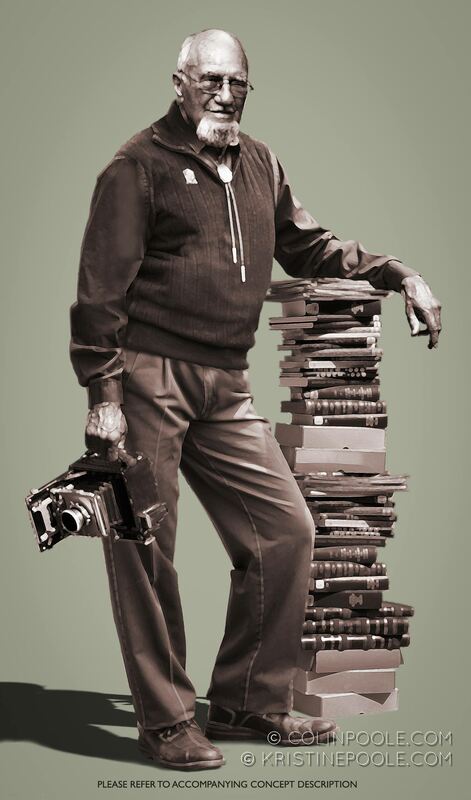 In the sculpture, Mr. Zemper will be holding his camera and leaning on a tall pile of books. Always proud of his perfect 66-year perfect attendance, his Rotary pin will be on his sweater. He was a founding member of the Howell Athletic Boosters and the Howell Archives and was named Citizen of the Year in 1976. The project is a collaboration between the Howell Rotary Club, community members and the Howell Area Chamber of Commerce Foundation. The Chamber Foundation is the fiduciary for the project. According to Chairman Mike Hall, the final phase of fundraising is underway. “We are seeking contributions of any size from the community as well as a few more significant contributions from area business leaders and community members.” Donors of $500 to $5,000 and above will be memorialized on a bronze plaque adjacent to the statue. For more information on the project and the life of Duane Zemper, CLICK HERE TO WATCH THIS ZEMP VIDEO. To make a contribution, go to www.zemplegacy.org or contact Mike Hall at 517-546-1600.